Join the Junior League of Northwest Arkansas for this annual event. 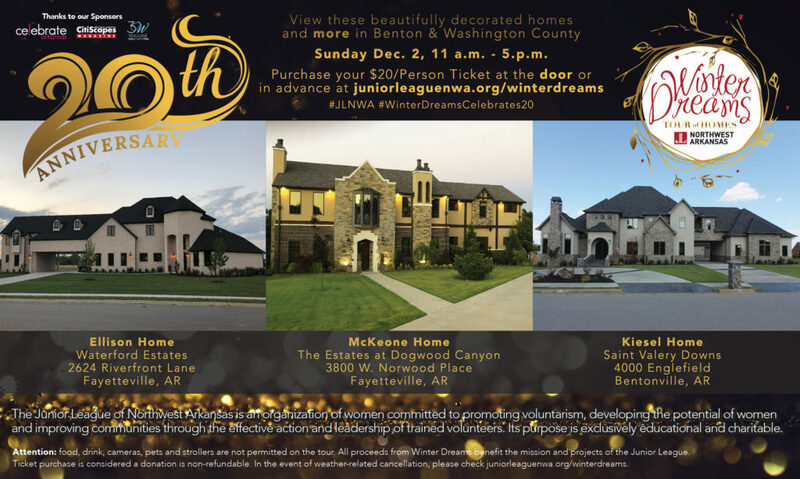 This is a festive, time-honored tradition to kick off the holiday season by touring beautifully decorated homes throughout Benton and Washington counties. For more information, please visit www.juniorleaguenwa.org.